I must say I have been a little impressed with our fellow resident, Senator Hinch. Here from his Justice Party is a list of some of his achievements at the end of 2017. This year he has been proactive in many areas of concern to me. If you don't know about the transvaginal mesh, it is kind of explained in the list. The Senator has this year done some terrific work on an often inappropriate procedure. He is currently campaigning about aged care, pressing that there needs to be nurse resident ratios. I believe Our ABC's 4 Corners programme will cover the matter next Monday night. I was rather disappointed that he agreed to the government's tax cut for big business, with his proviso that it did not include banks. The appalling behaviour of our banks and financial institutions has nothing to do with the tax they should pay, and nor do I support the cuts for big business. It is a moot point though as the tax cuts were withdrawn for political reasons. The Senator has also pushed very hard on stopping live animal exports. 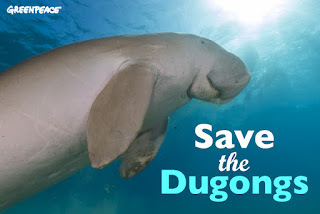 I have found The Senator's very passionate campaign about saving dugongs and sea turtles quite compelling. It seems that under the Native Title Act, Aborigines have a right to hunt in their traditional ways, including hunting dugongs and sea turtles for their own personal consumption, whereas both species cannot be hunted by anyone else. The problem is the the Aborigines have been abusing this allowance by going out hunting using non traditional methods in motor boats and commercially trading their catches of dugongs and turtles. Dugongs are an endangered species and this is just so terribly wrong, never mind the threat to sea turtles all over the world. 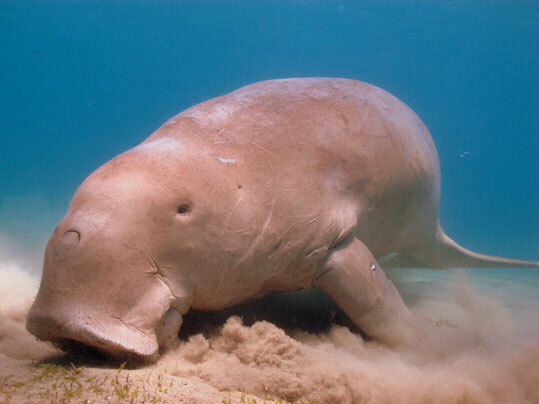 Dugongs have faces only a mother could love, but they are gentle vegetarian creatures, which I think are not averse to an Iceberg lettuce leaf, should one appear on the seafloor before them. I read that somewhere. They are also known as Manatees. Final photo by The Jungle Store. Interesting that the Senator's party is going to run candidates in the upper house in the forthcoming state elections and a candidate in the federal lower house by election in the seat of Wentworth in Sydney, New South Wales, former PM Malcolm Turnbull's electorate. I would support most of these causes. And agree with you about the tax cuts. I doubt that this government has completely surrendered on the issue though. Oh dear! 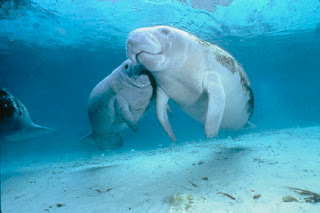 Manatees are also endangered here in the southern part of the USA. In fact with Florida's great red-tide problem, so many manatees have died. I lived in Florida for six years, and saw several manatees up-close. They are sweet, gentle, giants, who do not defend themselves. Stop the hunting of these endangered animals! I don't feel strongly about too much, but this is one of those things I do feel is very wrong. Maribeth, I assume red tide is some algae bloom problem, caused by pollution. I am pleased you are onboard about these critters. 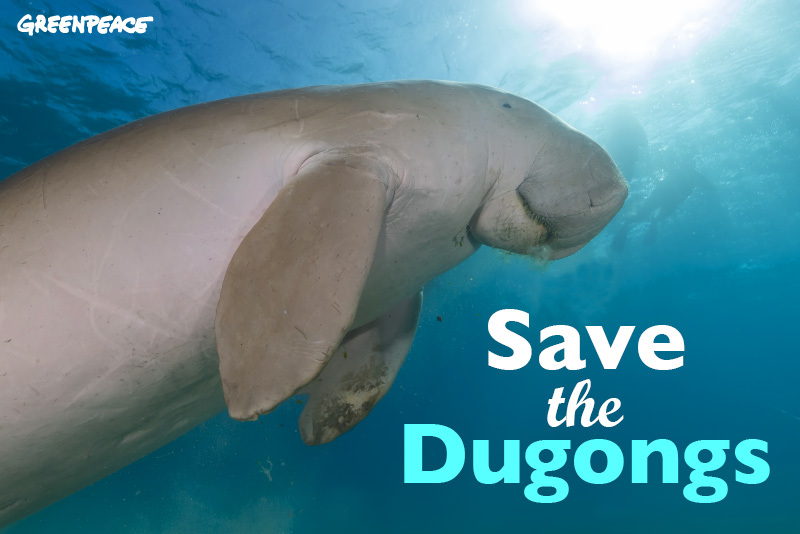 Dugongs are beautiful creatures. They were in abundance in the waters around Hinchinbrook Island and Cardwell. I was very fortunate to have opportunities to see them up close and personal in their natural habitat. I love them. As for Derryn...I've mentioned previously years ago we became friends...from when he, Jacki and her son Dylan, holidayed on the island for a week. We remained in touch for some time thereafter. Derryn is one of the good guys. Lee, isn't it so nice that his former wives, and there are a few, don't think badly of him and he remains friends with them. Lynda Stoner, a former wife of his, now as a boss of some animal liberation outfit received his well wishes recently for something. It is to his credit...and that the respect remains...shows what a good man he is. I think all his past loves still think highly of him, Andrew. Stopping live animal exports will be a huge contribution to ending brutality to animals. Indeed Hels. We, perhaps not you, use them as a meat supply, but they must be treated well. The death toll for live exported sheep over 40 years is shocking. Is that the same Hinch that is, or used to be, well known for his "Shame Shame" comments? He's been quite the BizzyBee hasn't he and all good works too, except for the dugong/sea turtle thing. River, indeed it is the same Hinch, who had the shame file. He has done some really good things, but I don't get your 'except for the dugong turtle thing? I am sure that is a mistype on your part or a misunderstanding by me. I think you would be for saving saving dugongs and turtles. Except for allowing the aboriginals to go out with boats and catch far too many and selling them, instead of just what they need for eating, like they would have done a century ago. Grace, yes, I didn't know which way he would go in many areas. You know one day we will have to grow up and be serious. Not looking forward to it. We call them manatees in Florida and they have quite a lot of people who love them. Often they end up terribly scared from boat props however and some harass them for fun. Your senator resident is working on important issues from the list you provided. Strayer, I wonder if dugong is an Aboriginal word for the manatees. Life underwater is not all beer and skittles. I'd say not. And I meant scarred not scared. So they get hit by props. Bad. "Established Senate committee watchdog to keep government accountable following the Royal Commission into Institutional Responses to Child Sexual Abuse." He did some really good work with the RC, I have to admit. Yep Fen, he has done some pretty good work.